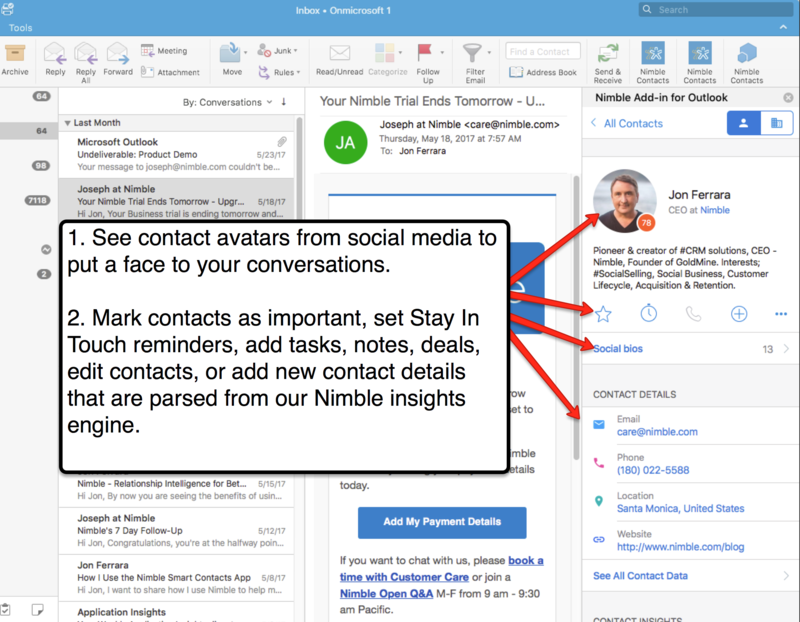 Take action on Nimble contacts by creating follow up Notes, Tasks, Deals, or Events. Check out our example workflow of creating a follow-up call and assigning it to a team member. 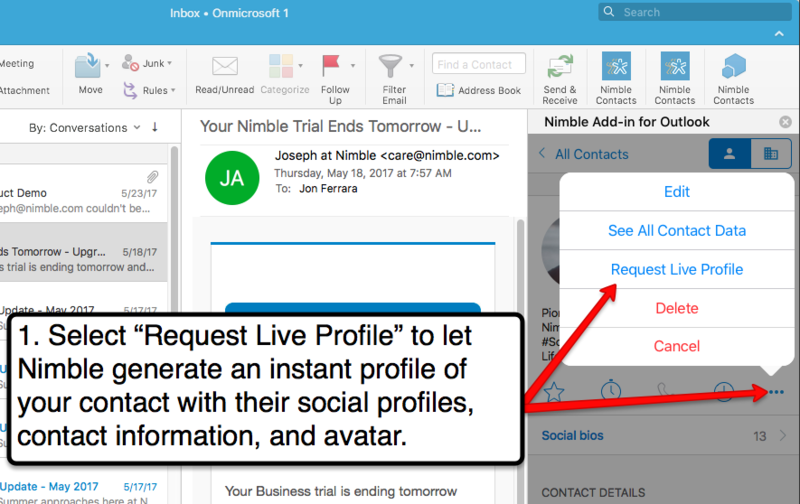 This is a great way to work with Nimble without disrupting your workflow with an additional window on your desktop. With the Add-In open on Outlook, select the plus + icon to take an action. 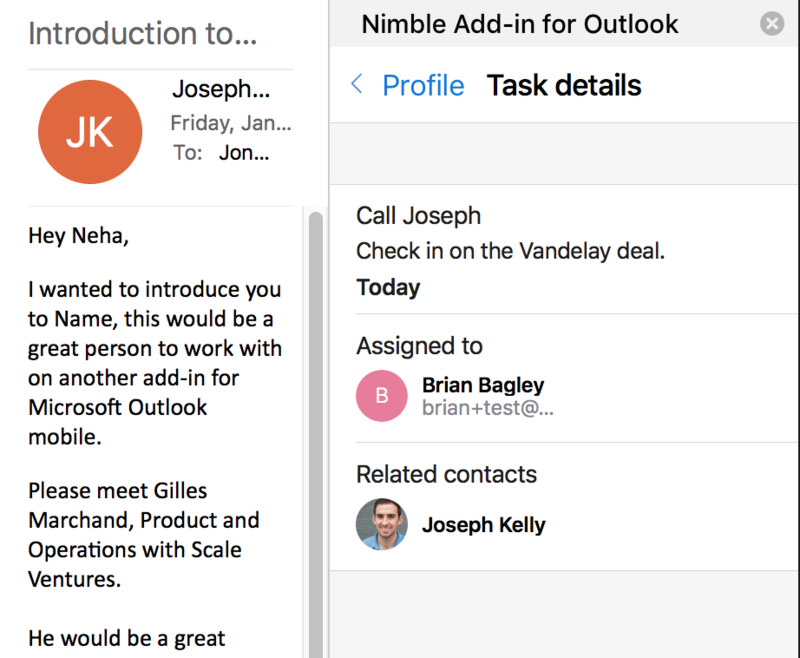 You may create a Note, Task, Deal, or Event related to a Company or Person in Nimble. 2. Select "Task" to create a task. Enter the description and assign it to a team member. 3. Once you create your Task, it will appear in Nimble, assigned to your teammate. 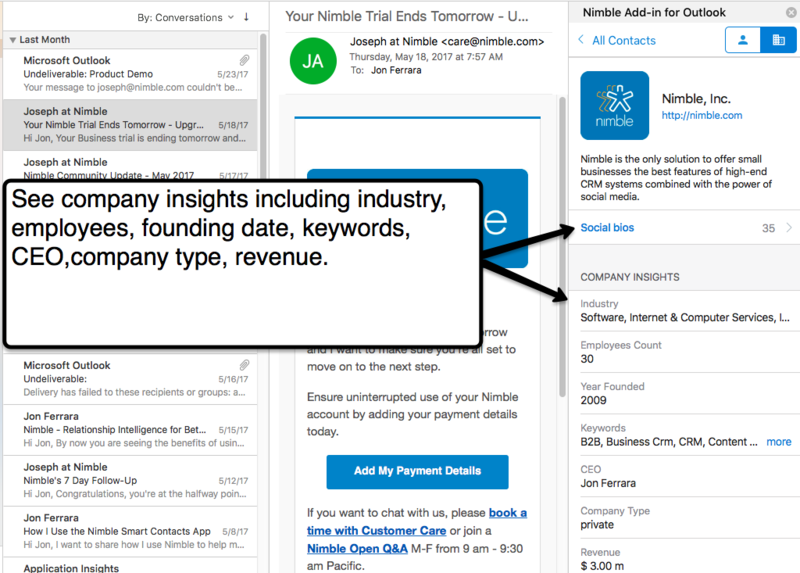 Select the "Company" icon on the right-hand side of a record to see insights such as social profiles, industry, employee count, founding date, social keywords, CEO, company type, and revenue.